Local Businesses Put Families First | Highfields, Inc.
Dart Container and Two Men and a Truck are helping make the world a better place. For years, Dart Container provided furnished apartments to contractors. Now they no longer need the furnishings and they decided to assist people in need. Dart wanted the furniture to benefit mid-Michigan families, and Highfields was one recipient of donations. Dart donated beds, couches, dressers, lamps, television sets, cabinets, and more. Many of Highfields’ clients struggle with issues like poverty and don’t have essential furniture. The donated items will provide comfort, stability, and create better homes for children and families. “Dart is pleased to partner with Highfields to benefit local families. We feel especially grateful to have the opportunity to give back to a community that has supported our business for nearly 60 years,” Dart Container President Jim Lammers said. Another local business, Two Men and a Truck, has also donated furniture to Highfields in the past. They generously helped move the Dart furnishings to Highfields’ Lansing Office. The items will be transported to families in need who are involved in Highfields’ counseling programs. Additional furniture will be used to update therapy rooms in Highfields’ Lansing Office, including the play therapy room for children. 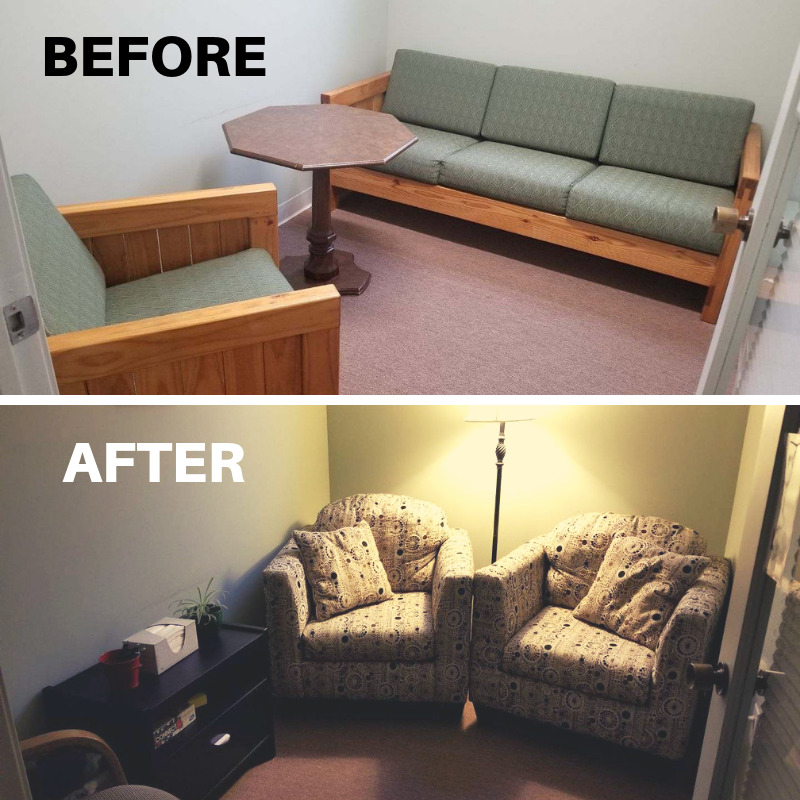 The cozy furniture will make the office more trauma-sensitive to families in counseling. Highfields would like to thank Dart Container and Two Men and a Truck for supporting Highfields’ mission of helping children and families in mid-Michigan.